For some time now, Mark Halperin has been watching people scamper across Shady Grove Road to get to Regalia shopping center for lunch or dinner. He’s worried that one day, the cars may catch up to some of them. According to a 2014 pedestrian safety report by National Complete Streets Coalition and Smart Growth America titled, “Dangerous by Design,” older Americans make up around 13 percent of the population, but accounted for more than 21 percent of all pedestrian deaths between 2003 and 2010. And even if people whose pace has been slowed by their years are excluded, the fact is that regardless of age, Memphis isn’t a paradise for pedestrians. According to the report, it ranks fifth among the nation’s large metropolitan areas as one of the most dangerous places to walk. But Halperin and his colleagues are, at least in their neck of the woods, working to counteract that reality. His company, along with Highwoods Properties Inc. and Loeb Properties Inc., recently formed the Shady Grove/Ridgeway Business Owners Association. Its main purpose will be to push for improvements that will make the area safer for walkers – especially at Poplar Avenue and Shady Grove Road. Right now, Halperin said, they are eyeing the possibility of building two pedestrian crosswalks where people are scrambling to cross over to shops and restaurants. While pedestrians can follow the sidewalks to the end of the streets to cross, the distance can prove challenging for some, he said. “We know that many of our constituents on both sides of the street will find this connectivity very beneficial, said Les Binkley, vice president at Boyle. 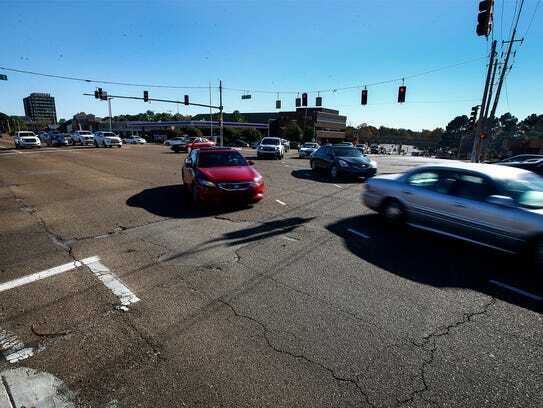 Both Binkley and Halperin also said that plans to make the area more walkable is not a reaction to pedestrian deaths and accidents; according to the Commercial Appeal, Memphis had 10 pedestrian fatalities and 144 accidents last year. Mostly, they said, it is a response to changing needs. That’s great – because what it shows is that the business owners association realizes that life has changed since Ridgeway Center was built in the 1970s. That was a time when much of the national focus was on suburbanization and building highways to make it easier for drivers, and not walkers, to get around. “We were on the leading edge of that (suburbanization),” Halperin said. “Ridgeway Center was the first PUD (planned unit development) that was done in Memphis. Yet it’s hard to ignore the fact that reworking roads that were originally built to accommodate cars and not feet is more than a matter of aesthetics. And while it’s good that these business owners will ultimately give workers and older pedestrians a means of crossing streets without worrying about being quicker than the cars, hopefully more walkability projects will be pursued in less affluent areas of the city. These are the places where, according to Smart Growth America and National Complete Streets Coalition, people are more likely to be hit while walking because of a lack of sidewalks or crosswalks, or crumbling ones. These are the people who are not braving traffic to shop or go to a restaurant, but to get to work and to services. Sure, building crosswalks in the South Shady Grove area isn’t a reaction to tragedy. But Halperin and the association deserve credit for paying attention to pedestrian struggles that could lead to it – and trying to stave it off.